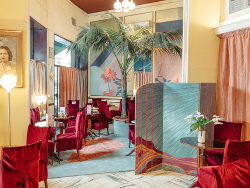 Architect Cristina Celestino continues her personal reinterpretation of the symbolic locations of the city of Milan with a project for the historic Pasticceria Cucchi. 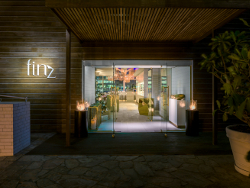 Finz offers a wide variety of seafood in a relaxed and stylish atmosphere. The restaurant, located at the end of the jetty in front of the Beach Wing, overlooks the sea. Nacka's new crown court is a district court in Sweden. 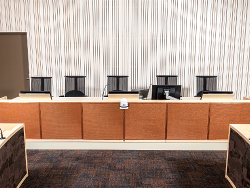 Two courtrooms have been decorated by adding panels with metal fabrics to the judge's benches. 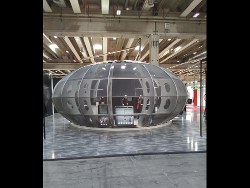 Kalon stoves shose Double Face to cover the elliptic wooden structure in the stand during the exhibition Progetto Fuoco. 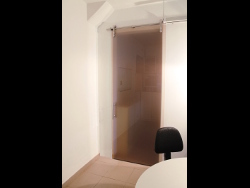 This office sliding door is made of laminated glass. 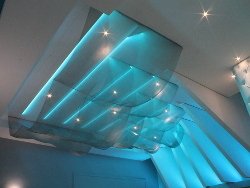 Tarrot has been chosen as interlayer. 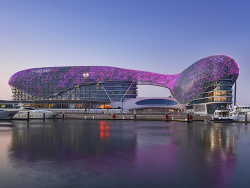 Copper colored metal fabric decorates the resin panels of the Reception at Yas Marina racing circuit. 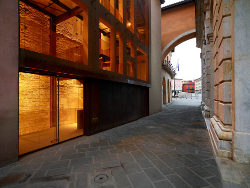 In Pisa the upper hall of Logge di Banchi (Buontalenti, 1605) is accessible to the facing Palazzo Gambacorti through stairs and a bridge entirely made of laminated glass with embedded metal fabric. Skillart is an art shop in Milan that promotes artists and artisans that produce all their works manually. 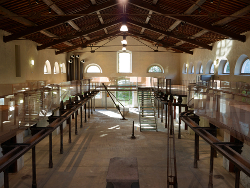 The old Pisa slaughterhouse and nearby stables have been converted into a place where scientific cultural tourism, research and entrerprises share the same space. 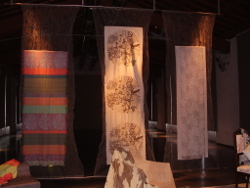 The Eritage@Work Exhibition at the Textile Museum in Prato concludes the work of the EUROTEX ID, a multidisciplinary collaboration to enhance the EUROpean TEXtile IDentity project. 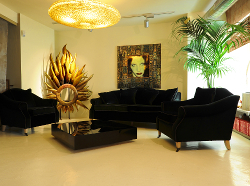 Passaro Sposa Atelier was founded around 1850 in Cava de' Tirreni, Salerno, Italy. 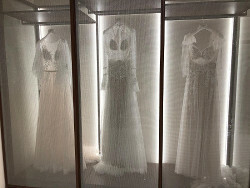 For the display in their shop for wedding dresses they have chosen metal fabrics. Diliscando is a fish restaurant in Rome. 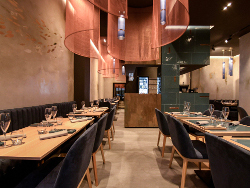 Its interiors have been designed in blue and copper, to form a dynamic and elegant space. 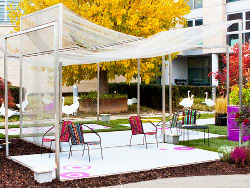 Tiberio Banquet Hall brings together a long family tradition and an uncommon style of design. Hudson Yards is a real estate development under construction in the Chelsea neighborhood of Manhattan, New York City. 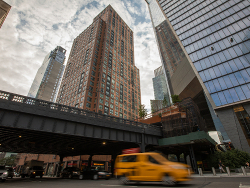 This luxury residential building near the High Line is part of this development.